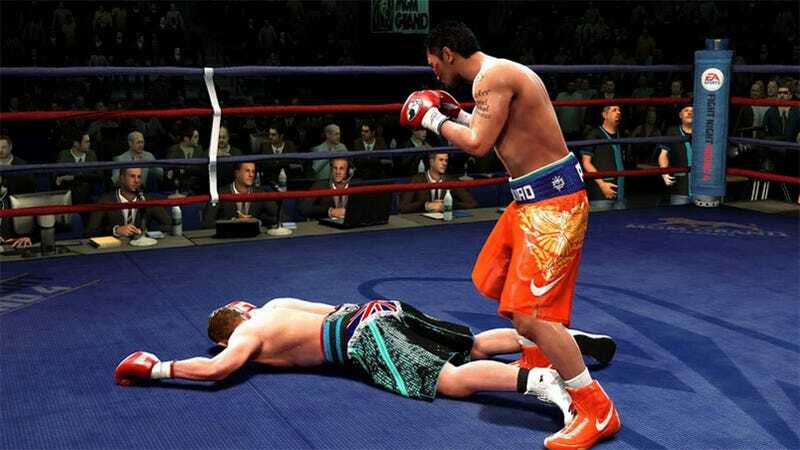 Xbox 360 owners are venting on the official EA forums (and our tips line) that EA Sports' Fight Night Round 4 is locking up and crashing at the game's loading screen. A fix (of sorts) is seeing some success. While those complaints are typically vocal, they appear to be somewhat limited—the forum thread currently has only four pages worth of responses—and may be possibly related to custom soundtrack files or Fight Night Round 4 demo files on Xbox 360 owner's hard drives. It appears that some Fight Night fans are working around the problem via various solutions offered by EA support. But that doesn't make for a happy customer in all cases, as some gamers are grumbling that the same lock up issue was present in the boxing game's demo, released ahead of the retail version. Having the same issue? We'd recommend hitting up EA support and expressing yourself on the official Fight Night Round 4 forums. Thanks to Adam for the heads up.